Amazon dominates UK online spending, accounting for 33.5% of all UK spend online (in 2017 from GlobalData). Amazon has become the go-to place for many shoppers due to the fact you can buy almost anything on the e-commerce platform, and it will arrive the next day. With the rise in popularity it is no surprise that there is an increasing number of retailers, and now an increasing number of brand owners, distributors and wholesalers, who use Amazon to sell and advertise their products. There is now more choice than ever for consumers, but this is becoming increasingly difficult for sellers, who struggle against the competition. This is where Amazon SEO and PPC plays a huge role. 4. Optimised content including title, key features (bullet points), description, search terms and technical details are crucial. All Amazon content gets indexed, and so every part of the content is important. Ensuring your Amazon SEO is up to scratch is one of the first and most important parts of your Amazon strategy to encourage sustainable business growth. But, we cannot rely only on this. Amazon PPC is becoming increasingly relevant and popular amongst sellers. Looking at the first page of search results on Amazon, we can see it is dominated by paid ads. On top of this, working with many clients, we have seen on average 30% of turnover generated from paid ads. This just goes to show how important it is to be working not only on Amazon SEO, but ensuring you are utilising PPC too. However, it can be tough running ads whilst staying profitable (check out some Amazon Sponsored Ads best practices here >>). This is where we can help. Over the past few months, we have delivered many Amazon Marketing Services and SEO Training Courses in both London and Manchester. Our attendees cover a variety of product categories including books, DIY, kitchen, garden and toys – just to name a few! Email support for one month after the training. Find out full details of these Amazon Marketing Services and SEO training courses. 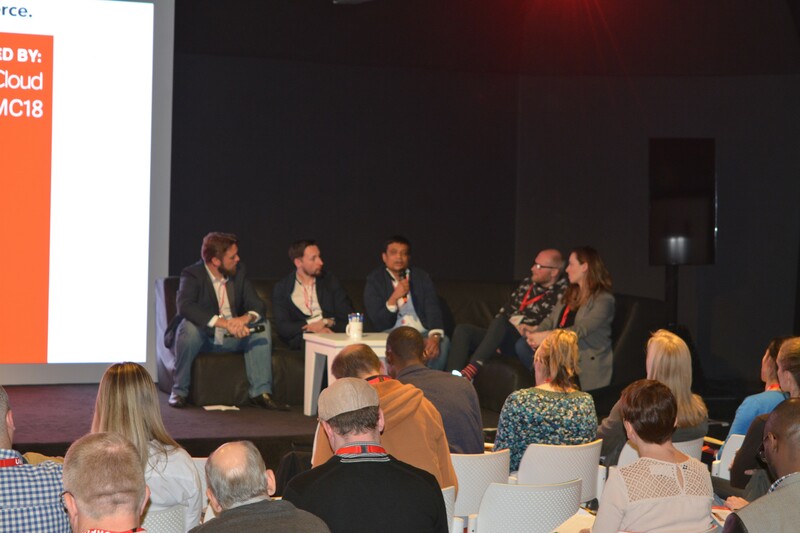 This year's Manchester Online Seller Conference was yet another brilliant, informative and highly attended event. It was held at the UKfast Campus and I am humbled by their support for the third year running. We’d like to thank our sponsors Khaoscontrol Cloud, Vdepot and Khoo Commerce who provided us with insightful talks and a wealth of knowledge throughout the event. We’ve received lots of positive feedback again this year, and we will be back next year with another great line up of speakers from the US, Germany and Australia, discussing a variety of current topics. If you have never attended the Manchester Online Seller Conference before, sign up for our newsletter to get notified about all future meetups and conferences. Speaker: Jason Thickpenny is a consultant helping businesses streamline their processes to support growth. Supporting the change from a good business into a great enterprise. Speaker: Iain Hill is General Manager at Vdepot and is extremely passionate about eCommerce. Having first-hand experience of selling online, Iain is well aware of the problems of a small start up business and aims to help every online business that he comes across. Speaker: Vicky Powell specialises in the entire sourcing process from Asia; covering product development, finding the right supplier, branding, packaging and shipping. Speaker: Katherine Khoo manages the eCommerce platforms iPages and Khoo Commerce, supporting numerous multi-channel eCommerce retailers online. Speaker: Steve Kuncewicz specialises in intellectual property, media and communications-related issues, working mainly with the creative, digital, technology and advertising sector with a nationally-recognised niche specialism in issues involving social media. 8 What questions should you ask your eCommerce agency? Speaker: Darren Ratcliffe has almost 20 years industry experience in the digital sector and has been running his own agency for the past 10 years. Speaker: Stacey MacNaught is a Freelance SEO and Content Marketing Specialist based just outside Manchester. She began writing web copy in 2006 before starting an SEO career with a Manchester agency in 2009. Her 9 years of agency experience saw her progress from an SEO trainee to Head of Search and ultimately Director responsible for the delivery of SEO and content marketing for all agency accounts. Speaker: Anthony Famularo is a Partner and Managing Attorney at Rosenbaum Famularo, P.C. (“Amazon Sellers’ Lawyer), the only law firm in the US that focuses on the needs of Amazon sellers. Anthony has been with the firm since it was founded. As Managing Attorney, he has experience in handling hundreds of cases for Amazon Sellers of all sizes dealing with both buyer and rights owner complaints, as well as other suspension issues. 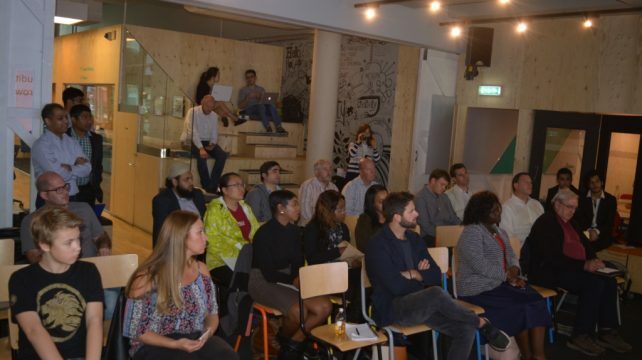 Manchester Online Seller Meetup is an evening event discussing all things e-commerce. Brought to you by Online Seller UK, this e-commerce meetup has been running for several years and has served 100s of online sellers in the region. It is aimed at anyone who is looking to sell online, and for those who have already established sellers but looking to improve their presence online in the UK and internationally. The chance to network with other online sellers, suppliers and industry experts. And, it’s all free. A free to attend an event where you will obtain a wealth of knowledge from industry experts. The next event takes place on Thursday 28th June at Innospace, Chester Street, M1 5GD. Located centrally, it is within walking distance from Oxford Street and Piccadilly Train Station. All of your Amazon SEO and account specific questions answered, plus we will discuss the key factors affecting your product rankings on Amazon. Shoppers are getting smarter and making more of an effort to price check across the internet before they make a purchase. Get ahead of the game with the latest automated pricing tools that could help you to maximise turnover and profit. Next event: Thursday 28th June, 2018, 6:00pm – 8:00pm. 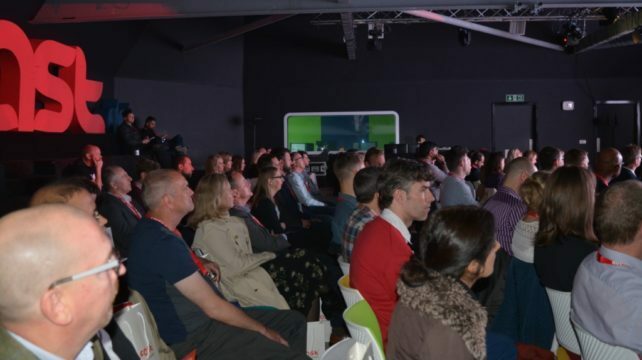 The Manchester Online Seller Conference is returning for the third year, and our aim is to help online sellers learn best practices in Marketplaces and e-commerce in general. The event is perfect for anybody who is already trading online be it through their own website or through eBay and Amazon; or for people who are taking the first steps on their journey. If you are looking to grow your business, make sure you don’t miss out. #3 Panel Discussion: What’s new in Ecommerce in 2018? #8 Gaining long-term customer loyalty in today’s digital landscape. It is free to register for online sellers and retailers and there is £100.00 ticket for industry experts and agencies. This is a great time of year for online sellers and I am hoping Amazon will double your overall sales. 10 years ago when I started to learn to work with Amazon, there was hardly any talk about paid ads. It was a very good playing field and now that it has become very crowded, sponsored campaigns are not an option anymore but an essential. Very recently I have worked with this bike manufacturer and we secured some sales within a few days of creating listings. Such is the power of the Amazon sponsored Ads. Here are few tips that you can implement in your Amazon account. They are no secrets but just a reminder. #1 Start early: It is better to start early campaigns as they will help you understand what works before anyone else. You can implement your learning for any early results. Another important thing to note is that headline search can take up to 3 days for approval. Don’t plan your campaigns late! #2 Product content: Amazon product pages are made in a such a way that any part of the content is indexed. Invest time on getting the title, key features and description optimised. You have also got 250 characters search term opportunity which is hidden from buyers. Here’s one experiment on search terms. Images play a huge role in conversion; get multiple images of your product. Lastly, build your product reviews with your influence. You can always send follow up email to get reviews. Here’s an automated feedback tool that you can use for this. #3 Promotions: Plan a list of products for promotions – trial % discount and buy one get one free. If you are selling with FBA or Vendor take lighting deals opportunity – this is a fantastic way to reach more buyers in a short time. #4 Bid Strategically: It is the busiest time of the year and everyone is working hard to get that sale. So, consider bidding higher during Black Friday / Cyber Monday / Prime Day. By this time you have a good idea of search terms that work, so, use them on manually targeted campaigns. #5 Use Bid +: This increases your chance to win the top position in the search. It will cost you up to 50% higher but it can generate that extra sale. Only use top performing campaigns for Bid + to avoid high ACoS. Here’s a quick introduction about Bid +. #8 Keyword Optimisation: Reviewing your campaigns will be an important part of your holiday campaigns. Use broad match keywords, branded terms and closely related products to target wider audience when you start your early manual campaigns. Then use search term report to harvest most performing keyword and convert them into a phrase or exact match. You will also have a list of performing keywords from automated campaigns search term report. #9 Budget: Keep your budget to the level you are comfortable with. Keep a regular check to ensure your budget is not run out and keeping low-level budget can cause a lost sale. I very much hope these will help you out.